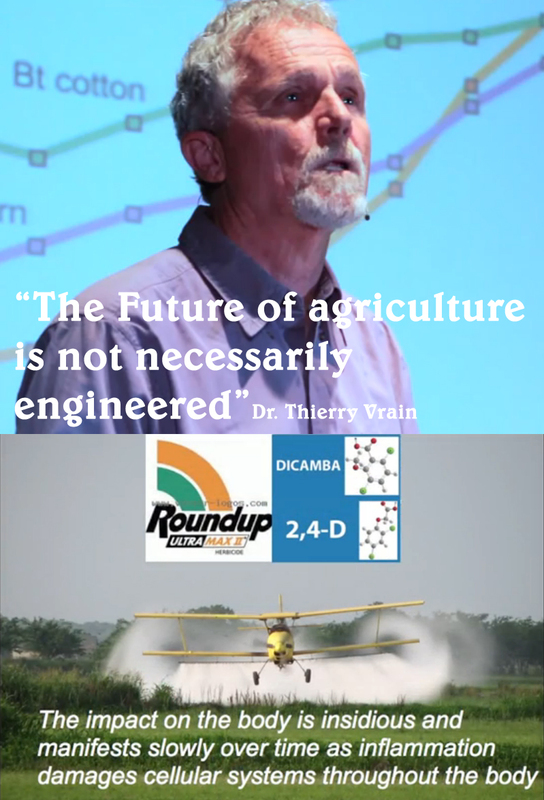 Dr. Thierry Vrain, a soil biologist and genetic scientist, as well as the former Head of Biotechnology at Agriculture Canada’s Summerland Research Station spoke out in a TED Talk about the risks of GMOs, as well as glyphosate. It’s a fairly short video, only 17 minutes, but contains a lot of good information and presents a good overview of the risks of GMO in an easy to understand way, especially for the non-scientists among us. One of the biggest criticisms made by the biotech industry about the anti-GMO movement is that it is not based on scientific facts. If nothing else, Dr. Thierry Vrain’s TED Talk silences that criticism and demonstrates that it is the biotech industry that has and is disregarding highly relevant scientific truths. If you don’t get a chance to watch the video here is a brief overview. Thierry Vrain talked about the concept of substantial equivalence, a term coined by the biotech industry in order to avoid having their products tested before putting them on the market. He also gives a summary of how genetic modification and Roundup were presented to farmers as a “magic pill” that would allow them to eliminate having to deal with weeds and insects and thus improve their crops and income, but says we are now finding that this was not in fact the case, as evidenced by the findings of independent studies mainly coming out of Europe, showing the risk of GMOs and an epidemic of “super weeds” and “super bugs”. One point that is also quite telling deals with the human genome project that was completed in 2002, and I’ve not seen this mentioned by any other scientists. Dr. Vrain explains that the genome project uncovered a new truth that was previously unknown about proteins. Based on this new finding, the conclusion is that “we don’t know” how proteins are created. Studies have since shown that there are proteins found in engineered plants that are completely different than what was expected. Thierry Vrain ends his talk by addressing concerns about glyphosate, the active ingredient in Monsanto’s main herbicide Roundup, and characterizes it as an insidious substance that pulls minerals from the body and slowly, overtime leads to inflammation and damage to cellular systems. Thierry Vrain can be reached through his farm Innisfree Farm, where he continues to educate about the risks of GMO food, organic gardening, permaculture, soil health among others.